Sculptural umbrella stand in ceramic. 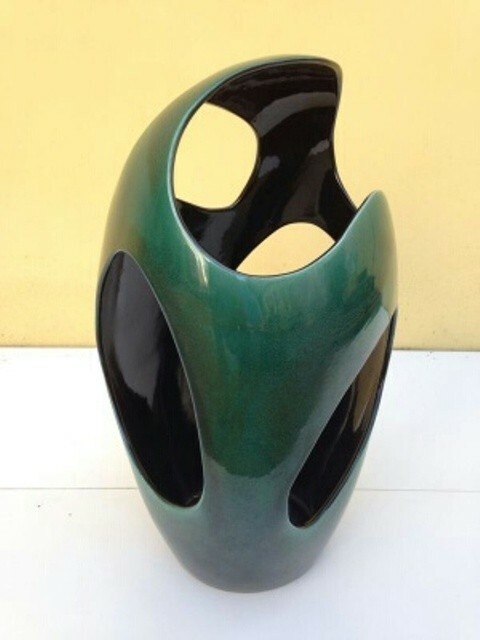 Elegant version in green and black. cm 36 diam by cm 59 h.